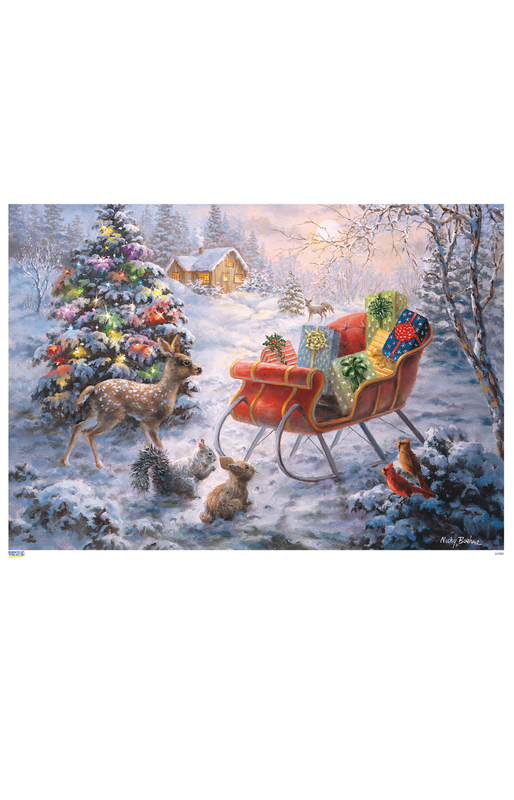 10389 - Advent Calendar - 11.5H x 8"W x .1"D"
10389 - Korsch Advent - Santa's Sleigh - 8H x 11.5"W x .1"D"
Glitter-dusted Advent calendar - While Santa's delivering Christmas packages - his sleigh is left unattended. Curious forest dwellers want to see if Santa's brought anything for them. Made in Germany.